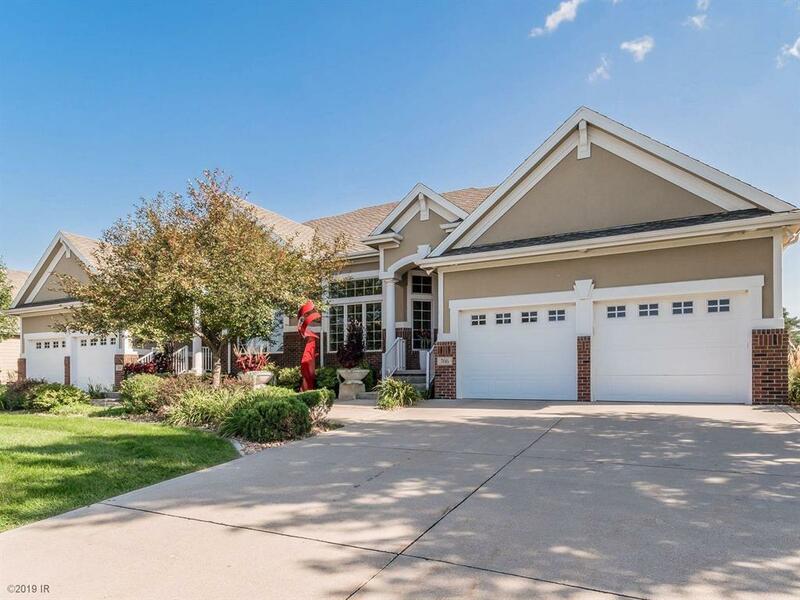 Beautiful ranch townhome in gated Glen Oaks backing to the 12th fareway. The main level features a gourmet kitchen with double ovens, family room with built in entertainment center, and den with floor to ceiling windows. The master bedroom features custom walk-in closet by California Closets and oversized walk in shower. Finished daylight lower level with 2 bedrooms, one is set up as a huge walk-in closet. Wet bar with granite and maple cabinets and area for game table. Newly redone hardwood floors in Aug 2018, full home automated lighting and security system, whole house reverse osmosis water filtration system. Gladiator cabinets stay in garage, as well as shelves in the storage area. Extended deck with outdoor grill, firepit, and granite table and bar top perfect for entertaining.